The Wild Plum Farm is located in rural northeastern Washington, in the beautiful Methow Valley. Established in 1930, the farm was originally built as a "modern dairy plant" for 90+ head of cows. After that it was a potato farm and in the 1960's it was established as an alfalfa operation. Our family purchased the property in 1997 and has worked to slowly restore buildings and land for agricultural use. 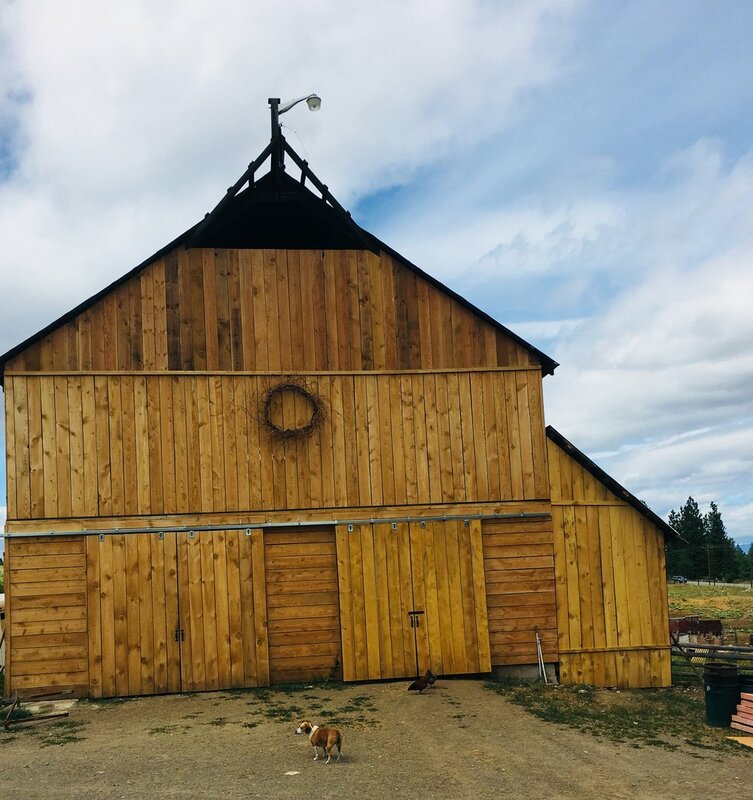 The original dairy barn is the cornerstone of the property, designated as a heritage barn with the Washington State Heritage Barn Register. In June 2018 restoration was completed, funded in part with a grant from the Washington State Department of Archaeology and Historic Preservation.